That’s the end of this story! It’s a short one! 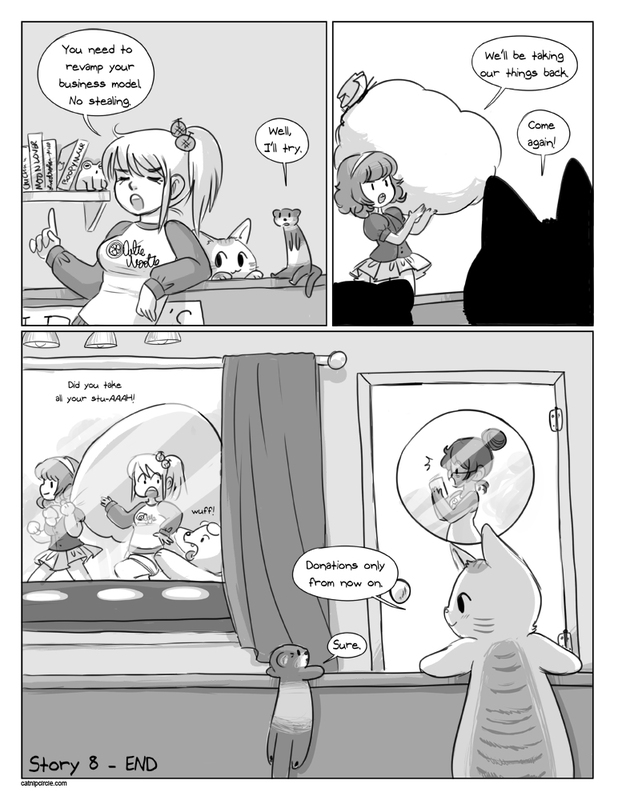 Starting with the next story, I’ll be going back to color pages. I draw faster now than I did when I first started, so I think I can do it again! 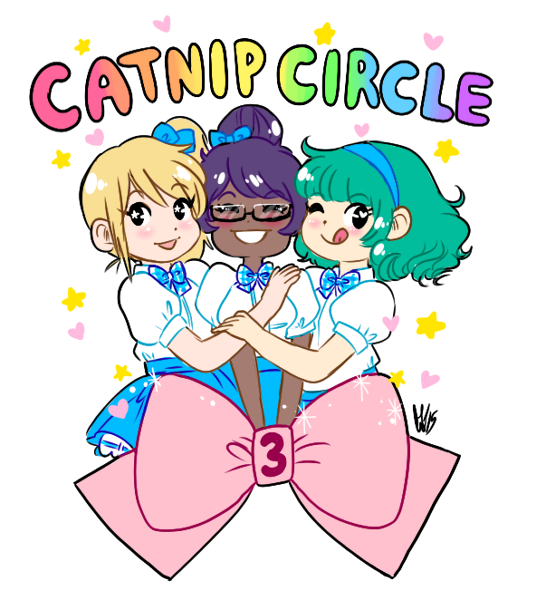 Yesterday (April 16th) was Catnip Circle’s third birthday! Thank you so much for reading for these past three years~ To celebrate, I’ve put up a favorite character poll! From now until next Friday (April 24th) you can vote for your favorite character, and I’ll draw an illustration of the top choice. Please vote! I hope we see some more of these two. The poll only lets us make one choice. This is impossible! Okay, I voted for the ferret. So I voted for the _new_ character I want to see more of. I’d like to vote for a poll where everyone gets, say, five votes to give to different characters. It’s too hard to pick just one. Although I admit I don’t know how to set up that kind of poll on a website.